Enjoy the thrills and challenges of performance yachting in one of the best sailing areas in the world. 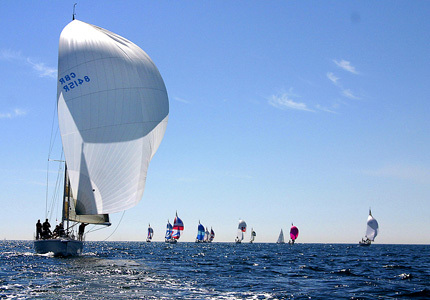 Up to 8 people can enjoy the rush of sailing a boat normally reserved for professional racers. We run a state-of-the-art J120, a favourite among top sailors the world over. Our boat is equipped to the highest specification from the rigging and navigation equipment, even the clothing and safety gear supplied. Whether your objective is teambuilding, instructional or social, we can interpret your brief, turning your vision into a reality. 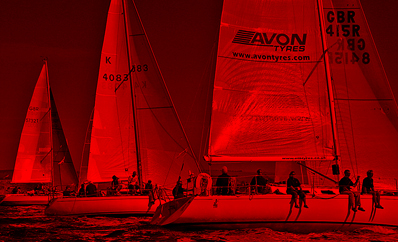 From a relaxed cruise along beautiful Dorset coastline to the exilaration of simulated race conditions, you can experience it all – safely and in the hands of experts. 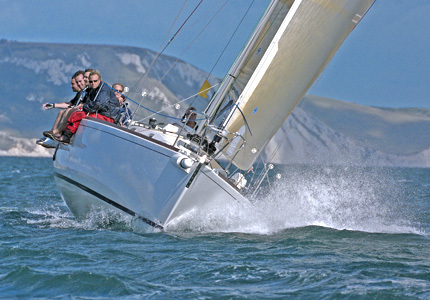 We are based in Weymouth (sailing venue for the 2012 Olympics) on Dorset coast. This preferred training ground for our Olympic champions can guarantee you an unforgettable sailing experience.